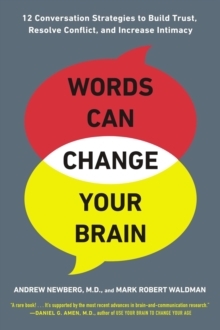 In our default state, our brains constantly get in the way of effective communication. They are lazy, angry, immature, and distracted. They can make a difficult conversation impossible. But Andrew Newberg, M.D., and Mark Waldman have discovered a powerful strategy called Compassionate Communication that allows two brains to work together as one. Using brainscans as well as data collected from workshops given to MBA students at Loyola MarymountUniversity, and clinical data from both couples in therapy and organizations helping caregivers cope with patient suffering, Newberg and Waldman have seen that Compassionate Communication can reposition a difficult conversation to lead to a satisfying conclusion. Whether you are negotiating with your boss or your spouse, the brain works the same way and responds to the same cues. The truth, though, is that you don't have to understand how Compassionate Communication works. You just have to do it. Some of the simple and effective takeaways in this book include:* Make sure you are relaxed; yawning several times before (not during) the meeting will do the trick* Never speak for more than 20-30 seconds at a time. After that they other person's window of attention closes. * Use positive speech; you will need at least three positives to overcome the effect of every negative used* Speak slowly; pause between words. This is critical, but really hard to do. * Respond to the other person; do not shift the conversation. * Remember that the brain can only hold onto about four ideas at one timeHighly effective across a wide range of settings, Compassionate Communication is an excellent tool for conflict resolution but also for simply getting your point across or delivering difficult news.